We're in the running for Singapore Blog Awards 2012! Imagine waking up one day, checking your e-mail, and discovering that hey, you’re in the running for Omy.sg’s Singapore Blog Awards 2012. That’s kinda what happened here at The Neo Tokyo Project, when I received my nomination for the Sold.sg Best What-the-hell blog category. I’m really, really grateful for this awesome vote of confidence. It’s neat how we managed to make the cut, and I owe it to you – my cosplay friends, geeky fans, and readers – for making this possible. So today, we’re gonna play a game of 20 (well, really just 4) questions that will hopefully answer everyone’s queries about my nomination for this award, and what The Neo Tokyo Project’s gonna do moving forward! Elated! The team’s been in a tizzy since I told them about the email last week! It’s great validation, and affirms our commitment not just for geeky coverage, but in documenting the transformative and empowering effects of cosplay. We’re motivated to do even better, both for our readers in the cosplay community, and for everybody out there who’s curious about just how amazing and positive this hobby can be! 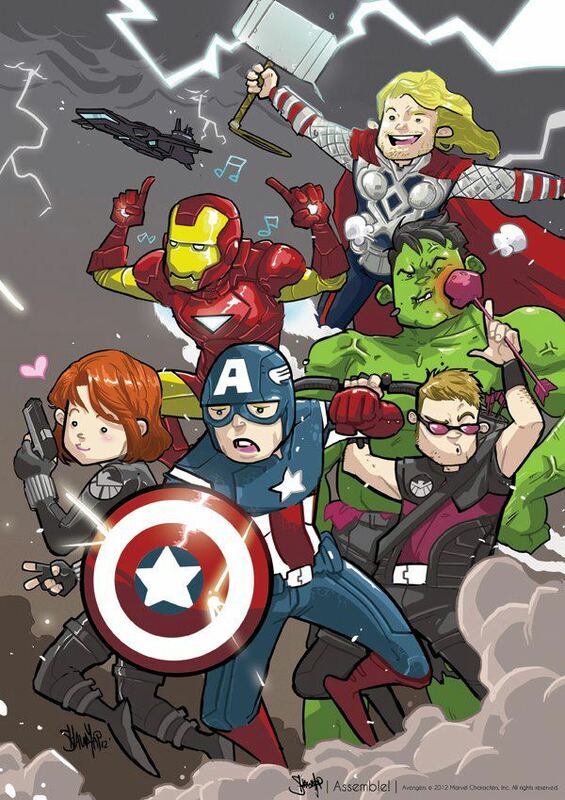 I’ve always had a taste for the geeky things in life. As a comic collector, cosplayer, gamer, and unabashed Japanophile, I’ve had no lack of inspiration, so all it took was a little push in the right direction to get me started. That push came in the way of Kaika (another kickass cosplay blogger, and she’s a finalist in the vlog category!). I met her on a sponsored trip to Hong Kong as Singapore’s Cosplay Ambassador for a promo by Animax and Hong Kong Tourism Board, and our conversations got me thinking. 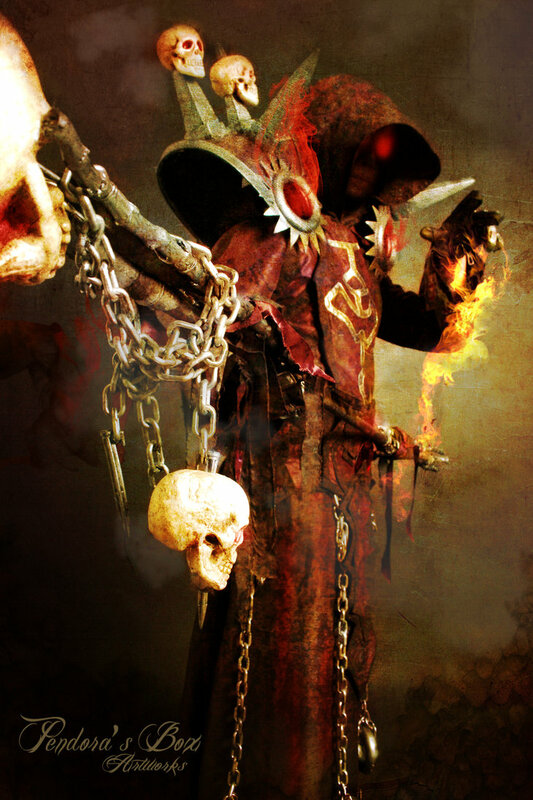 When I first started cosplaying in 2001, the hobby was an arcane thing, but cosplay’s gained ground, increasing social acceptance, and a way, way, way bigger following in the past decade. 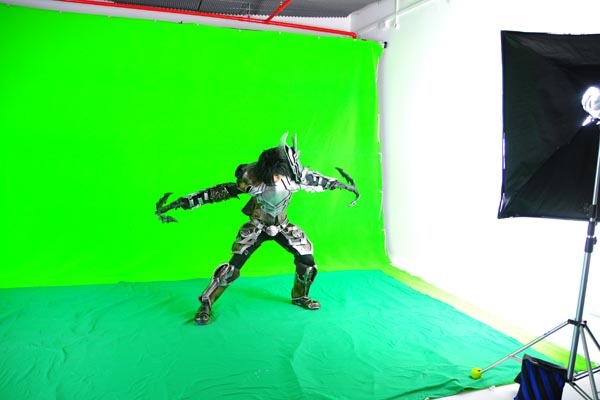 After all, I’d picked up a trick or two as a cosplayer and costume maker, amassed some modicum of stage experience, and loads of geeky know-how; the only cool thing to do was to share. 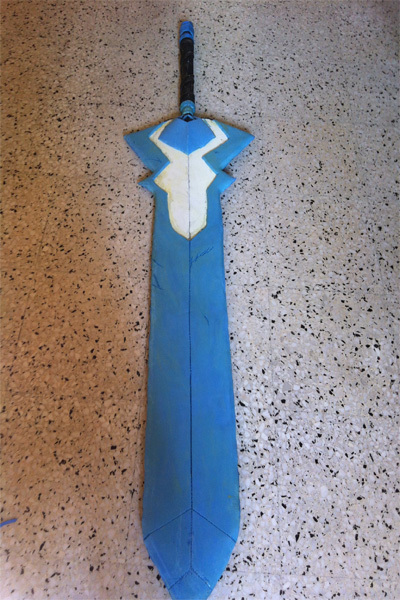 Blogging about cosplay’s my way of giving back to the community. I delight in helping novice cosplayers along, and it’s always a pleasure to know that I’m contributing in my own small way. That’s why we’ve got a regular tutorials column, and editorials about cosplay and stage performances on The Neo Tokyo Project. I’m also interested in highlighting (by way of journalistic exploration, interviews and convention coverage) just how exactly cosplay’s changed the lives of people in the scene, and that’s the focus of our Spotlight On column. So yeah. That’s kinda how The Neo Tokyo Project started, and as they say (as cliched as this sounds), the rest is history. 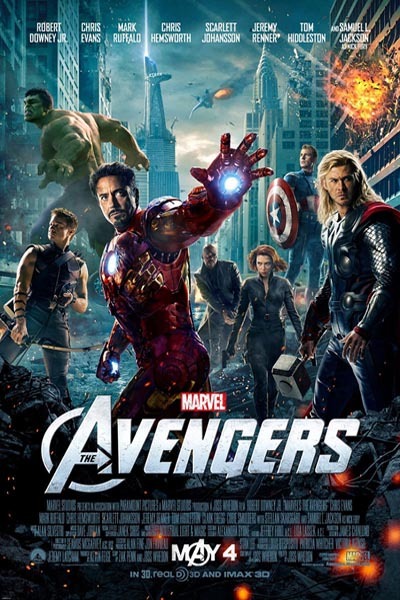 I think they’ve all got their strengths. They’ve got some really quirky content, so I think it’s gonna be a tough fight all round. The Neo Tokyo Project’s an all-inclusive blog dedicated to cosplay, pop-culture, and all things geek. 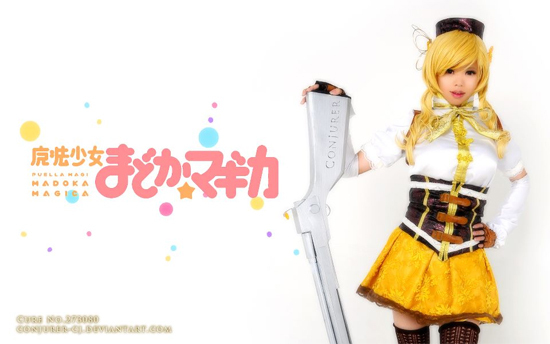 Cosplay’s our passion and it doesn’t matter whether it’s comic books, computer games and fantasy novels, or anime and manga. We’re all about cosplay. 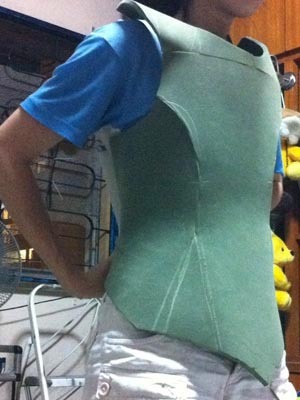 We feature cosplayers, we cover the latest cosplay and pop-culture happenings in Singapore, and if we’re gonna create a brand new cosplay costume, you can bet your life we’ll eventually put out a tutorial and show you just how you can make one too. When you vote for us, you’re voting Cosplay. 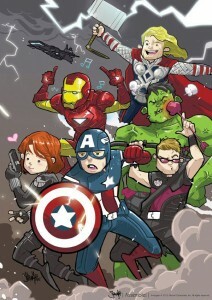 So if you’re a fan, if you love the hobby and love pop-culture as much as we do, do support us! I’ve also made a little video about our nomination, and here it is! 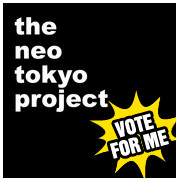 If you’d like to vote for The Neo Tokyo Project, here’s what you need to do. Click on the image below, and click Vote For Me! It’s as simple as that (Clicking on the link will open a new window, and you might need to register for an omy.sg account if you haven’t yet). You can cast your vote once per day, so it’s kinda like a ‘Daily Quest’ (like in an MMORPG, or something). So if you like what you’ve read so far, and want to support Crimson, Angelus, and the rest of the Neo Tokyo Project team, please, please, please, cast your vote every day! What’s more, we’ll be releasing new and exclusive content ‘Achievement’ style each time we hit a new campaign milestone. Each time we hit 100 or more likes and daily votes in the tally, we’ll be putting out a brand new tutorial or cosplay related tidbit! 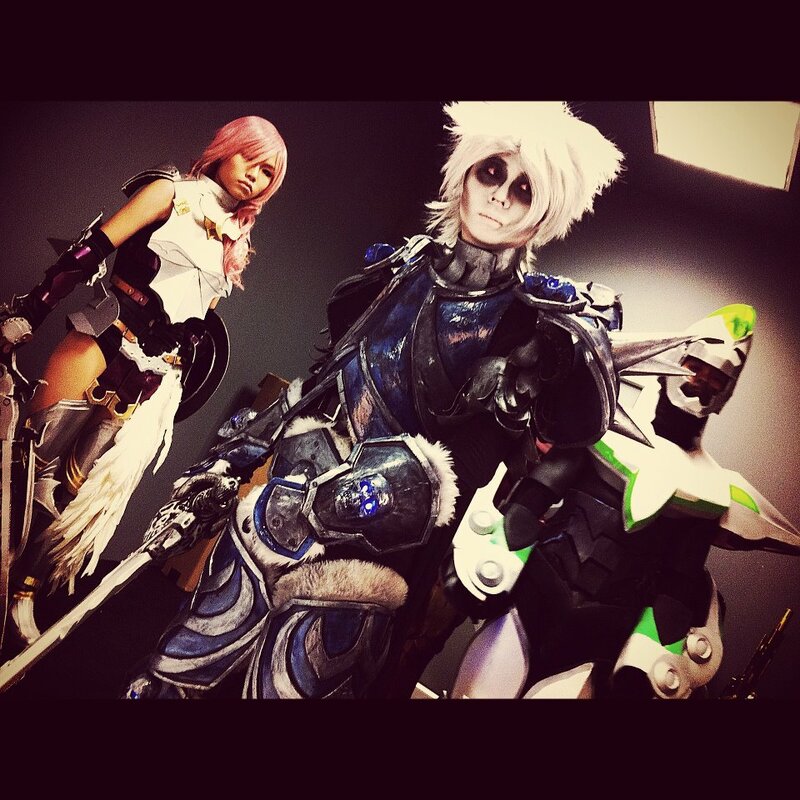 Cosplay’s awesome, so let’s help our hobby take the blogosphere by storm! 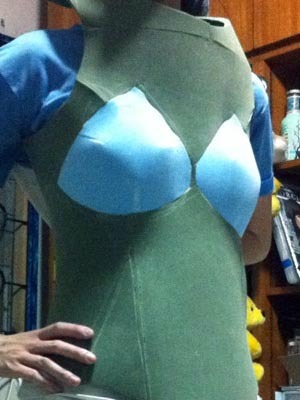 Angelus put together this nifty tutorial, demonstrating an easy method for creating a breastplate that conforms to the female anatomy. You’ll also need either chalk or a soft pencil. 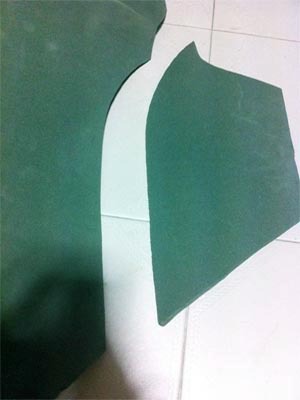 Draw out the base shape of your breastplate on a piece of foam, and cut it out with a pair of scissors. 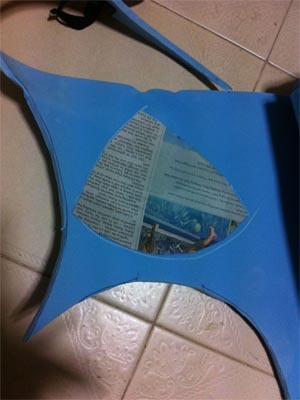 Cut out the base shape first, as always. 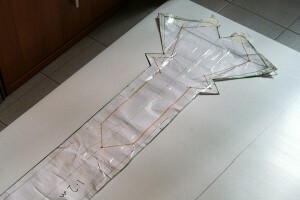 Next, cut away the panels to create the necessary curves and contours around your sides and hips. 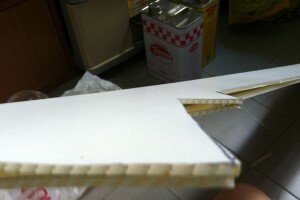 Affix the cuts together with contact glue. 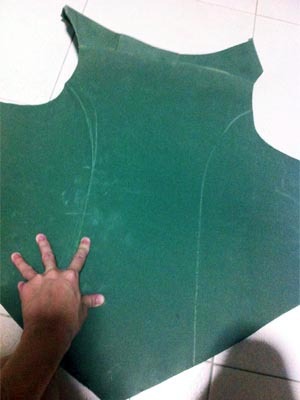 Using either a bikini top, or bra padding, trace out a suitable paper pattern, and replicate this pattern onto blue foam. Trace it out like so. 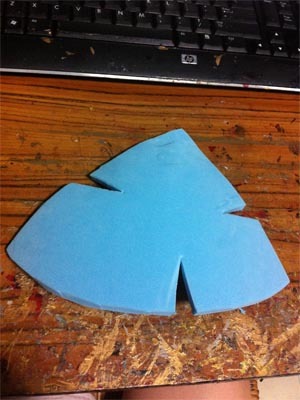 Make two of these shapes, and proceed to cut several wedge shaped grooves along the edges. 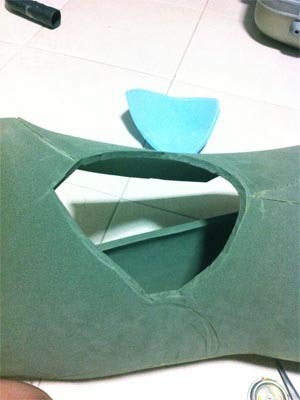 Like we highlighted in a previous armor tutorial, joining wedge cuts together will cause the foam to curve in a certain way, and in this case, you want these shapes to curve snugly to conform to your anatomy. 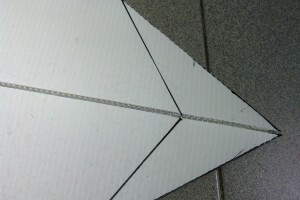 They’ll look something like this once you’ve glued the edges together. 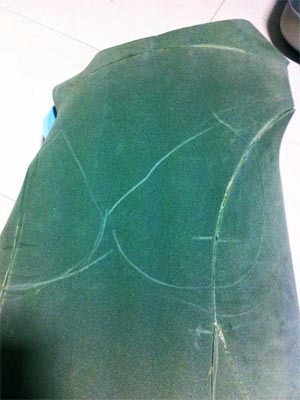 Mark out the areas where you’ll be pasting these shapes on your breastplate. 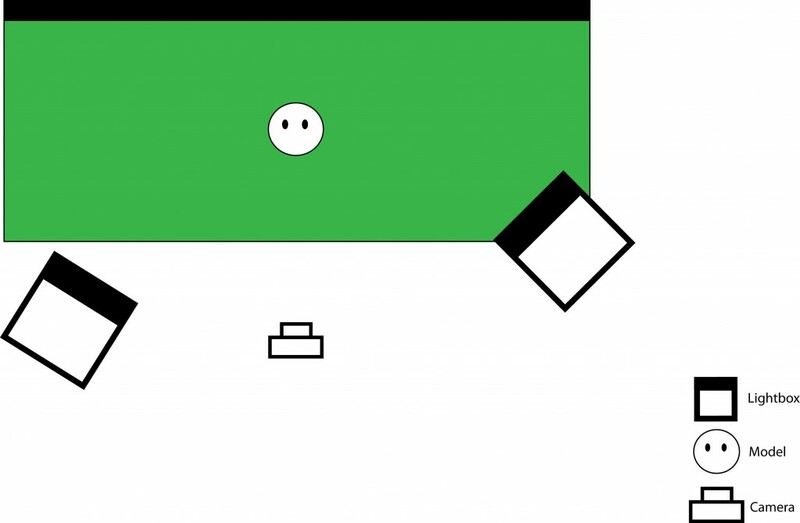 Try to be as accurate as possible, because you want an exact fit! 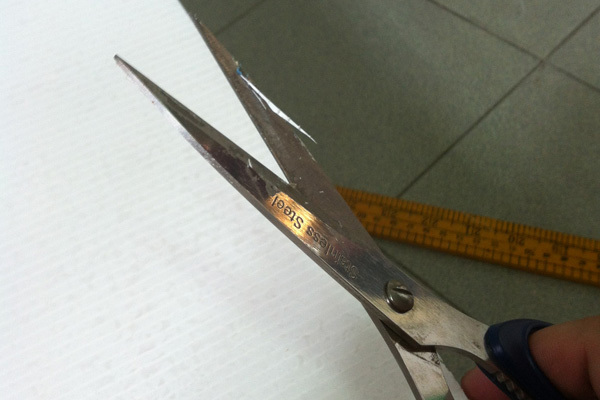 Now, cut these areas out using a sharp pair of scissors. Cut out one hole, then another. 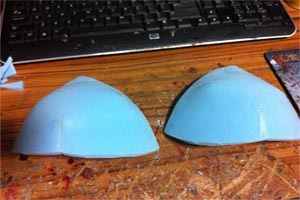 Affix the bra shapes to your breastplate by joining it along the edges to the edges of the two holes you’ve made in the breastplate with contact glue. Now, all that’s left to do is to use putty to conceal the join lines, and to slap on a dash of white glue, and you’re good to go for detailing and a custom paint job! Let’s face it. Big swords are cool. 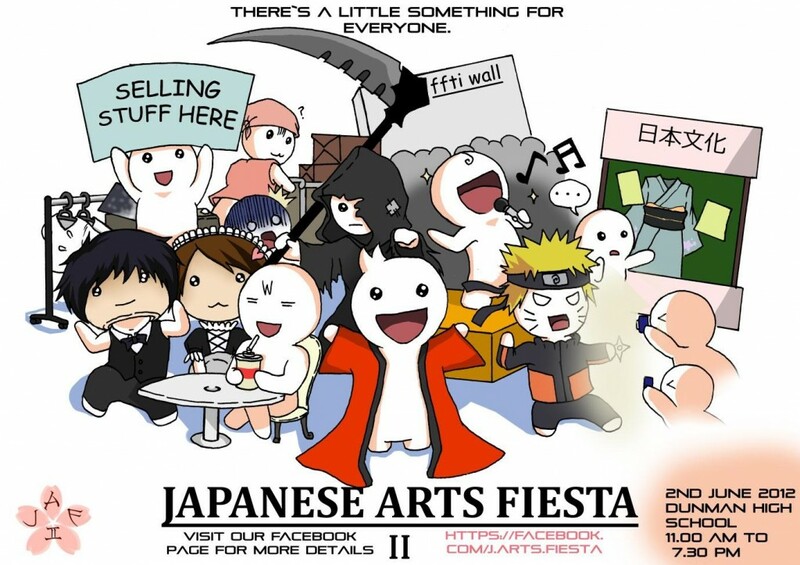 Practically every character in Japanese games, anime and manga has one. 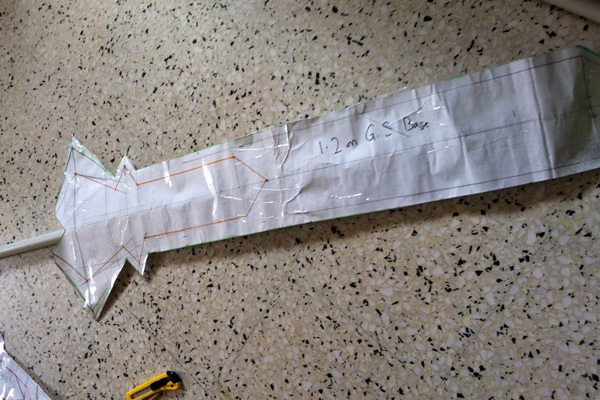 In this back-to-basics tutorial, we’ll teach you how to craft a stunt-ready greatsword for cosplay that’s as tall as you are, but light enough that you can tote it without looking like a complete klutz (unless that’s what you want). 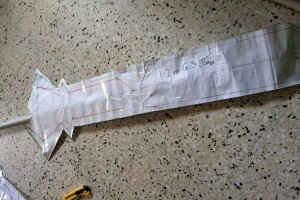 We’re going to scratch build the Dragon Slayer from Black Rock Shooter in this tutorial, but with a bit of tweaking (it’s all about the blade shape, really), you can create practically any big weapon you like under the sun. This tutorial will take approximately an hour to complete. You’ll also need a ruler and markers. We’ll start by creating the blade shape. Draw out the blade shape on the PP board using a permanent marker, and cut it out using a box cutter or pen knife. 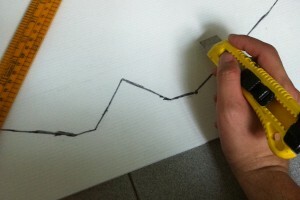 Trim the edges down with a pair of scissors if you need to to get rid of uneven cuts and bumps. Trim it just like so. Repeat the process, and you’ll have two identical pieces. Next, we’ll create scour lines down the middle of the PP board and at the tip of the blade to create an angular wedge shape. Cut lightly down the length of the blade shape with your box cutter, pressing hard enough to slice through the top layer of the board, but not all the way through. Once you’ve made a deep enough scour line, you can simply bend the blade shape edgewise, and it will snap into a wedge shape. Remember not to cut all the way through! You gotta do this twice, and it helps if your cut lines are as similar on both blade pieces as possible. It’s time to assemble the blade! Because the Dragon Slayer’s got a pretty unique, layered cross piece, I’ve cut out some craft foam just for that portion. Next, sandwich the length of PVC pipe in between both blade pieces. 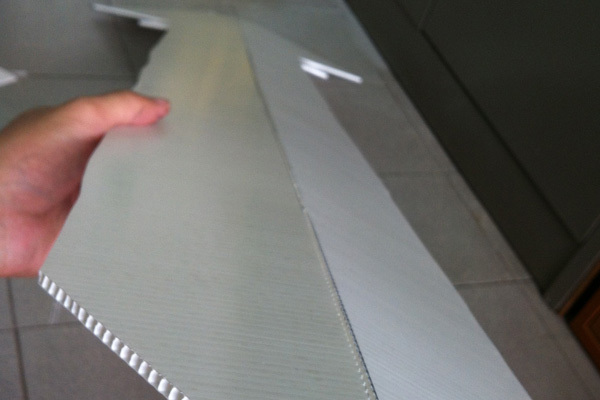 Spread contact glue all over the inner surface of one blade piece, and rest the PVC pipe in the valley created by the bend in the blade shape. 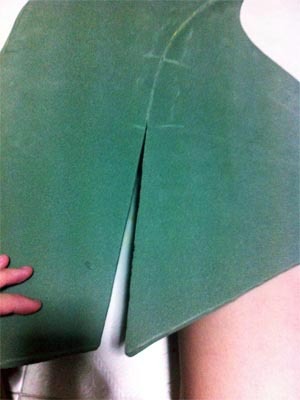 Apply some contact glue to the valley of the other blade piece, and along the edges, then join both blade pieces together. 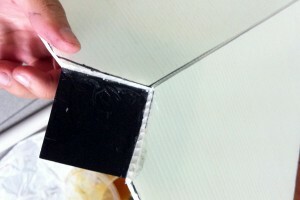 Be sure the pieces are both aligned neatly, and pinch the edges tight. And that’s about it! It’s pretty easy to create a greatsword base isn’t it? But we’re not done yet! 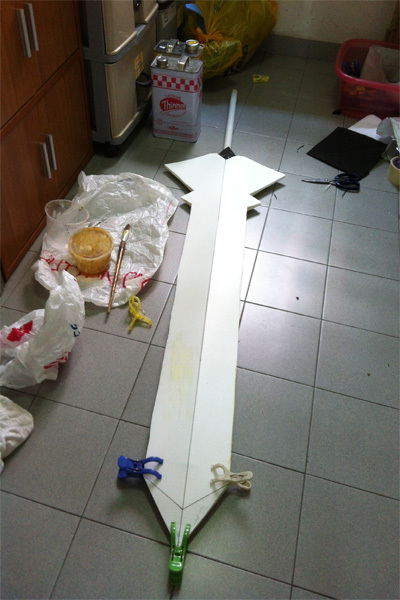 We’ve still got to wrap the blade with foam, and to do some detailing. 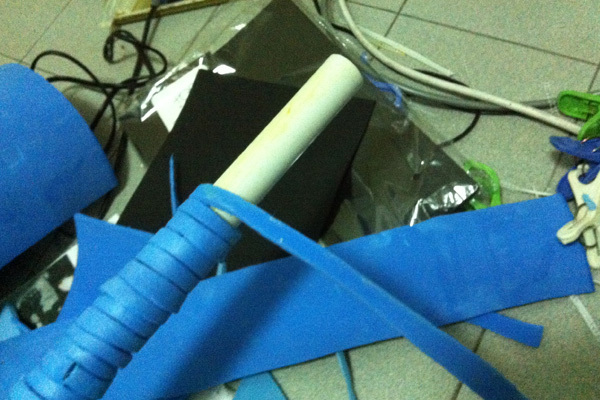 To create the handle portion, simply wrap the entire length of PVC pipe with strips of scrap foam, and then go over it with a piece of craft foam. 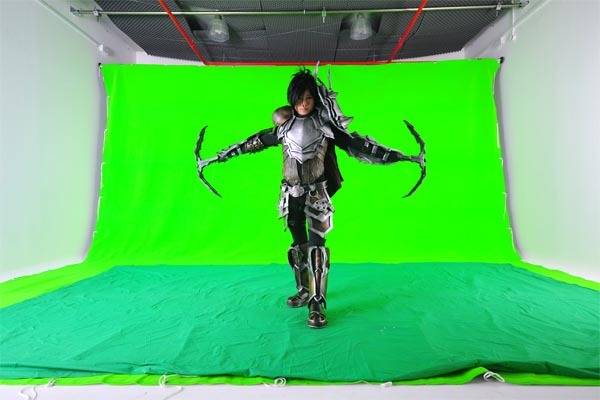 Craft foam gives you a comfortable, non-slip grip, and that’s really important when you’re swinging your sword around during cosplay performances. Just coil a foam strip round the handle, like so. Handle details can also be simulated with foam too. 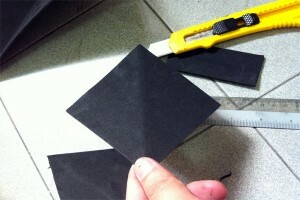 You just have to cut the pieces out, and join them in the correct shapes. Finally, cut out large two pieces of foam (the edges should extrude slightly beyond the width of the blade, and paste it to the blade base on either side with contact glue. 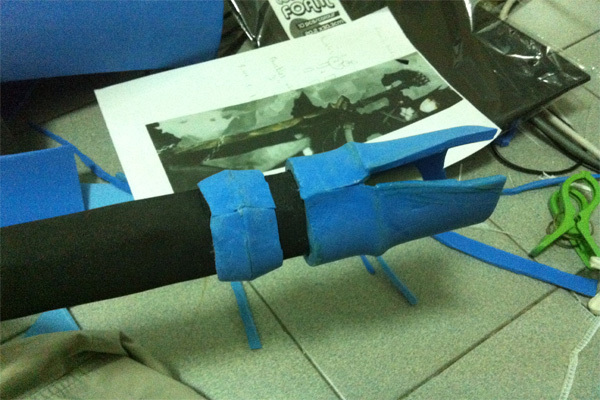 Pinch the edges together (the same way we did in our previous cosplay sword tutorial). 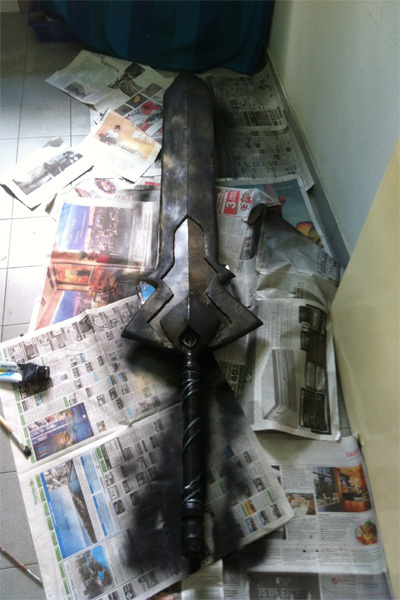 Slap on a layer of either white glue or putty to prime the prop, apply paint, texturing and accents, and voila!